Think fast! What’s the first thing that comes to mind when you picture a “green smoothie”? A thick, goopy mess of gunk, with a funky green color, that smells and tastes like lawn clippings & dirt in a glass? Honestly? Yeah, it can be that way… but it doesn’t have to. I was first introduced to green smoothies back in the early 2000’s when my family and I were raw vegans, and I was moderator of a (then) popular online raw food forum. I knew what smoothies were but, after a while, I started hearing people talk about “green smoothies”, and that just didn’t set well with me. It was pretty darned tasty. I blended ONE kale leaf with some fruit. lol Needless to say, my green smoothie wasn’t very green… but it was a start. Over time, I began adding more greens and now, they’re a beautiful bright green color – depending on what kind of fruit I use, that is. I’ll tell you all about that in a minute. 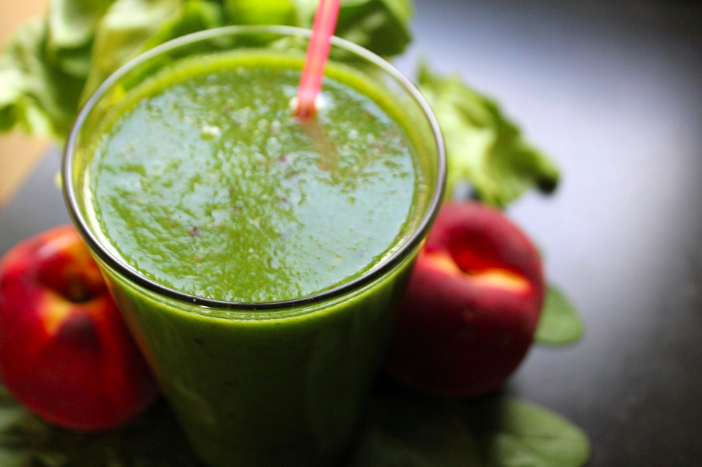 Simply put – it’s a fruit smoothie with green leaf veggies blended in. ALL greens and NO fruit! Umm… yeah. I’m not quite that extreme. My green smoothies have to be sweet and tasty, otherwise, I ain’t drinking ’em. Why GREEN Smoothies, Of All Things? While all-fruit smoothies are definitely beneficial and will help you get your RDA of fruit, it’s equally as important to get your veggies in as well. And I get it. You eat veggies: carrots, corn, and the occasional salad, right? But like most people, you probably don’t consume enough DARK green leafies. You see, greens are jam-packed with nutrients your body needs BUT… all that goodness is “locked” within the cells of the plants, which need to be broken down into an almost creamy consistency in order for you to reap the benefits. Some people’s answer to that is to cook them until they’re mushy, but cooking to that degree destroys much of their valuable nutrients. And, unfortunately, greens in their raw state are tough to chew and not very palatable. You would have to chew, and chew, and CHEW like cows grazing on grass, and most of us don’t chew our food well enough as it is. We take a bite, chew 4-5 times, swallow, then on to the next bite. Blending your greens breaks them down, ruptures their cells, and releases the nutrients you may be missing out on by chewing alone. A powerful blender, such as a Vitamix, is BEST, but you can use pretty much any blender that has sharp blades. Just keep in mind that you’ll have to blend it longer to get it smooth and creamy, as opposed to gritty and chunky. As I mentioned previously, my family and I used to eat a raw food diet and during that time, I racked up quite a few books on the topic – especially recipe books. 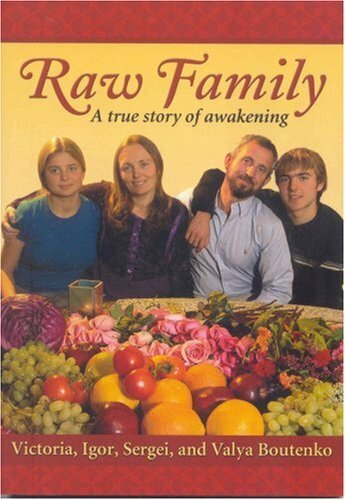 One of my first and favorite books was, “Raw Family“, written by the Boutenko family – Igor (dad), Victoria (mom), Sergei (son), and Valya (daughter). 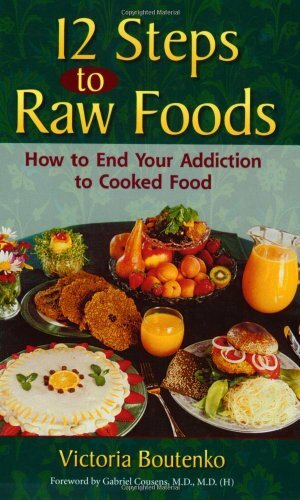 I also owned their book, “12 Steps To Raw Foods” – a “12-step program” of sorts to help one smoothly transition to a raw food diet – or at least get more raw plant foods into your existing diet in a non-boring way. So, when I heard that Victoria Boutenko was coming to our city to do a talk about green smoothies, I was starstruck enough to wanna go and hear what she had to say. My husband went with me and before she was even done… we were SOLD! As far as I’m concerned, Victoria is the QUEEN of green smoothies. She educated the masses about them long before they became a “craze”. No, she may not have discovered or invented them, but she (and her family) surely pioneered the movement! 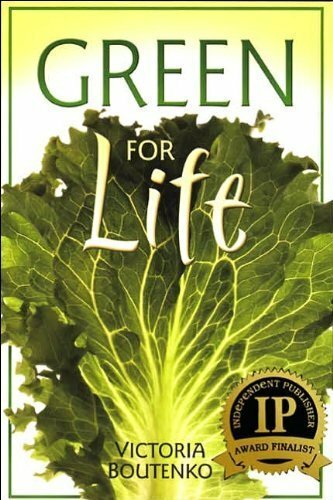 While at the event, we bought a copy of her book, “Green for Life”, (which is, far as I know, the first book on the subject), tasted some samples, bought bunches of greens & bananas at the local farmer’s market, and went green smoothie CRAZY! Victoria really goes in depth about these power drinks and, thankfully, we had her book to refer to because we discovered something we needed to correct. 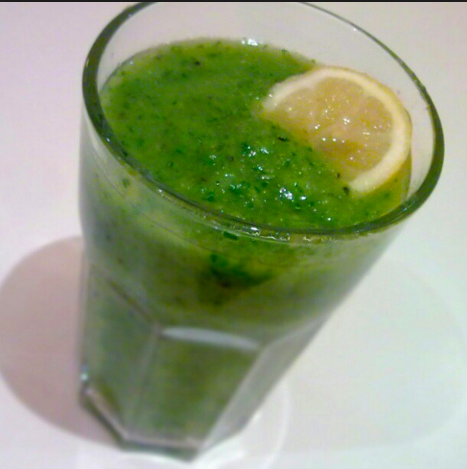 Back in December, I (haphazardly) did JJ’s Smith’s 10-Day Green Smoothie Cleanse. And although I half-assed it, I actually got some results from it! I lost 3 lbs, an inch off my waist, 4″ of my hips, and 2″ off my thighs. Imagine what could have happened had I been a little more disciplined and consistent! During that time, I craved junk food less and less overtime. No, the cravings didn’t totally go away, but they were diminished. But I honestly can’t say what benefits, aside from those, I gained because I take a vitamin supplement and a colon cleansing product, so it would’ve been hard to pinpoint what was doing what since they all have their own benefits. Just keep in mind, to REALLY get the major benefits of green smoothies, you need to rotate your greens by switching up and using different varieties. All-in-all, green smoothies are a great jumpstart to a healthy diet. What’s In A Green Smoothie? I don’t claim to be an authority on the topic, but I’ve made enough of them throughout the years to feel confident sharing my take on ’em with you. This is the liquid you will use. Without a liquid of some sort, your smoothie will be very thick and may not even blend. Personally, I use water, but you can use coconut water/milk, almond or other non-dairy milk. I have never used dairy milk in a smoothie, but some do. If you want to add a probiotic element to your smoothies, you can also use kefir or yogurt but you may still need to add some additional liquid to help it move & blend. Here’s where things can get a little tricky because, while it may be tempting to put all manner of fruits into your smoothie, not everything goes well together. Starting out, you may want to use greens with a mild flavor such as lettuce (green leaf, romaine, butter) or spinach. As you get more accustomed, you can experiment with parsley, celery, or swiss chard. Then, when you really get brave, work up to stronger greens like kale, collards, arugula or beet tops. There are many more to choose from and you can try different ones to find the ones you like. Just be sure to rotate your greens to get the most out of them nutritionally and to avoid toxic overload from consuming too much of the same greens, too frequently. Those are the basics, but you can add other items such as fiber, ground flax seed or flax seed oil, shredded coconut, avocado, fresh orange, and superfood powders like spirulina. Try to keep the add-ins (aside from fruit & greens) to a minimum and keep them healthy! Making a green smoothie isn’t rocket science. For the most part you can just put everything in the container and start whizzing away. However… if you want it to be palatable, you’ll want to put forth a little more effort than simply throwing a bunch of stuff into a blender and blending it. If using a high-powered blender, you can just put everything into the container and blend. 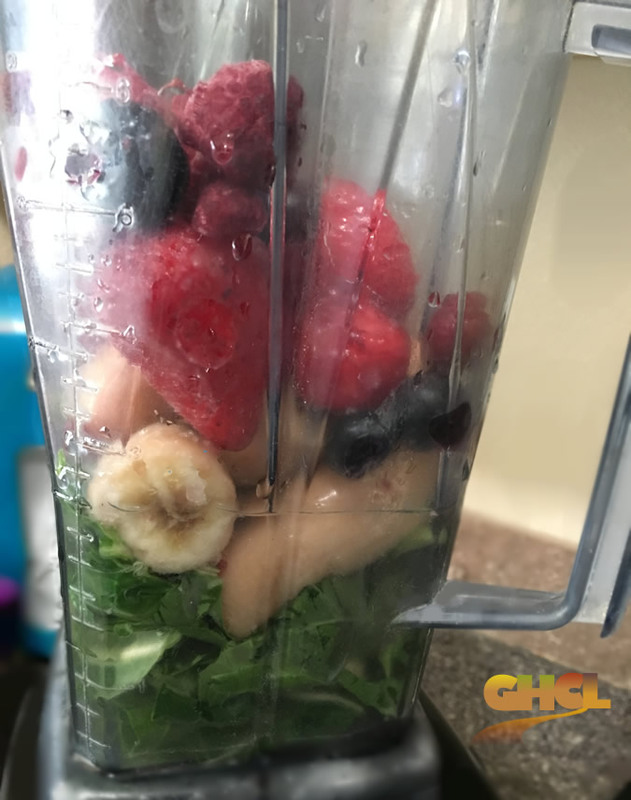 When using a regular blender that’s moderate-to-low powered, I highly recommend you start out with any ingredients that may take longer to break down such as your greens, fruit with tiny seeds (raspberries), apple skin, or fiber. Blend the greens as long as your blender will allow you to before it starts to overheat. If, at that point, the greens aren’t fully broken down and creamy in consistency – turn the blender off, allow it to cool down, then start it up again. TIP: Tone down the bitterness of the greens by adding lemon juice and allowing the smoothie to “rest” for a couple of minutes before drinking. Keep blending until you barely see tiny pieces of greens. It may take a while, but it’ll be well worth it for a smooth, creamy smoothie! Once it’s as smooth as it can get, add your fruit. If using frozen fruit, either let it thaw a little bit or add it little at a time so that it blends easier. Again, blend until it’s smooth without chunkiness, unless you like the little bits of fruit. Enough fruit should be used to make it taste good so you’ll WANT to drink it, even if that means adding one kale leaf! As your tastebuds adjust to the chlorophyll, you can start adding more. If your smoothie is too thick or isn’t blending well, blend in a little more liquid until it’s the desired consistency. When you’re ready, you can begin experimenting with different recipes and the addition of other ingredients like plain yogurt, ground flax seed, superfoods, etc. But again… the simpler, the better. 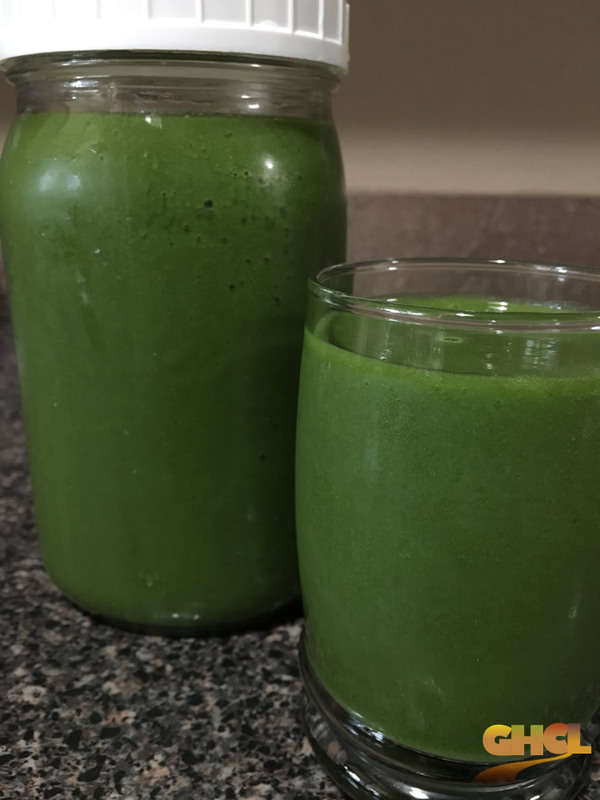 Now, I generally don’t measure, but I did take the time to measure out the ingredients for a couple of my favorite green smoothies and if you’d like to try them, you’re more than welcome to! This was one of my first & favorite concoctions back in the day. I still make it from time-to-time when I want to change things up, but nowadays, my favorite is the recipe following this one. 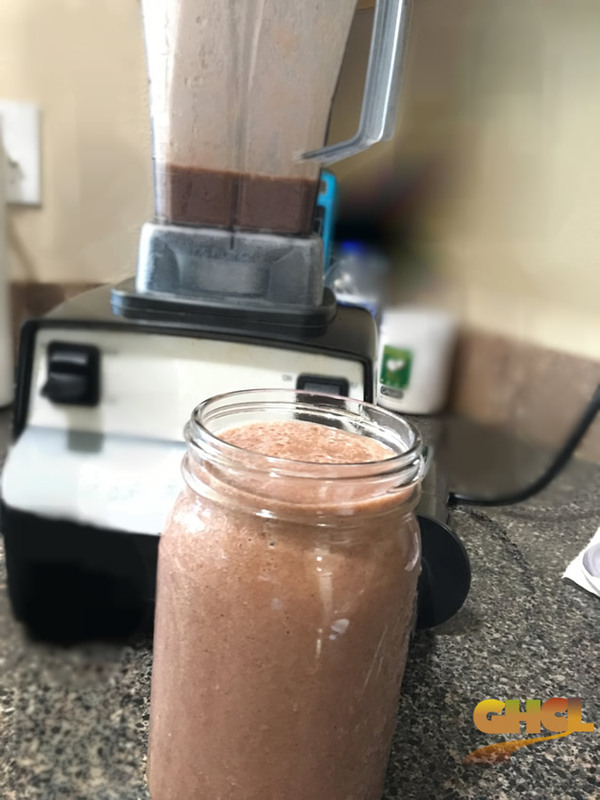 But one thing I want you to keep in mind… when using blueberries or anything that has a blueish/purplish hue, you will end up with a more “brown” colored green smoothie. It’ll still be delicious, it just won’t be green. Blend until smooth and green particles are no longer (or barely) visible. If it’s too thick, add more water. If too thin, add more fruit. Add a little natural sweetener of choice if your smoothie isn’t sweet enough. Store any unused portion in glass jar/container in the fridge for up to 3 days. TIP: Whenever you use bananas in a smoothie, make sure they are RIPE! Green or bright yellow bananas will make your smoothies have that sharp, super banana-y flavor. The best ones to use are anywhere from golden, to spotted. Now, this one is my favorite! To me, it has a really light, refreshing taste to it, especially if I add parsley – which IS an acquired taste for some, but I love it in my smoothies. This one produces a really pretty, bright green smoothie for ya. I have you starting out with spinach in this recipe, but once you’ve made a few and you get bold enough, feel free to change up to stronger greens such as collards, kale, mustard, etc but use just a little of those at a time until you get used to the flavor. As simple as they are to make, there are some things that can botch up a green smoothie in a heartbeat. The following tips will help ensure you enjoy your smoothie each and every time… or almost. Tip #1 – Be sure to remove sticker labels from fruit. This may seem like a “duh”, but trust me, it’s easy to forget. There have been many times I’ve had to pour out a perfectly delicious smoothie after finding myself spitting out bits of plastic, all because I forgot to remove the stupid sticker. Ugh. So, as you’re washing or soaking your fruit, remove any labels! Tip #2 – Use RIPE bananas. If they are green or even bright yellow with green at the tip, your smoothie will taste lousy, TRUST me! Let them ripen and get that golden color. Even better… let them get a little spotted. And if you have any that you’re not using up quickly enough, here’s what to do with brown, spotted bananas. Tip #3 – Start with hard-to-blend items first. Greens, apple skin (esp. granny smiths), and the tiny seeds found in berries can be tough to break down. If you’re not using a powerful blender with super-sharp blades, then it’s a good idea to add those items and a small amount of your liquid base to the blender FIRST and blend as long as you have to in order to break them down. If you add too much water (e.g. the full amount) then the items will just swirl around and never budge. So, start out with enough to barely cover whatever (hard to break down) foods you’re blending and if it’s not blending well, add a little more until it does. Tip #4 – Add lemon (or lime) juice. Greens can be pretty strong in flavor… sometimes even bitter, especially if you’re using edible weeds such as dandelion greens. Adding 1-2 tsp. (or more if needed) not only helps cut some of that, but it also gives the smoothie a nice tartness – which I happen to love, but if you don’t, add more sweet fruit or sweetener to curb the some of the tart. Tip #5 – Allow smoothie to rest. I discovered this by accident. 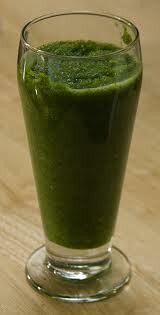 One day I made a green smoothie and as soon as I was done blending, I tasted it and it REEKED of that “greeny” flavor. I can’t remember what I went to do, but when I came back and tasted it again, it was great! Blend up a green smoothie and take a sip immediately afterward, then again after letting it sit for 3-5 minutes and see if you notice a difference! Tip #6 – If need be, sweeten it up. More often than not, your smoothie will be sweet enough. But sometimes that pre-packaged frozen fruit is more on the tart side and and your fresh fruit isn’t quite ripe enough yet. In those instances, you can add a small amount of natural sweetener such as: maple syrup, agave nectar, stevia, etc. if you find your smoothie isn’t sweet enough for your palate. Sometimes the addition of a handful or two of sweet grapes (if you happen to have any on hand) will do the trick as well. Tip #7 – Add something creamy. Personally, I’ve tried doing greens with just one fruit (for example, strawberries) and the texture seems like it’s missing something. You may like it, but in the event you don’t; add something to make it creamier such as bananas. Prefer your green smoothie WITHOUT bananas? You can substitute with avocado, mango, peaches, papaya, a handful of nuts, some nut milk or yogurt/kefir instead. Tip #8 – Drink within 2 days… 3 tops. I’m all for meal prep and making stuff ahead of time. I do it all the time with my husband’s lunches for the week. But when it comes to smoothies (green or otherwise) I don’t recommend making a week’s worth. After the second or third day, it starts getting and tasting kinda weird. It starts separating (which really isn’t a big deal, just shake it up) but it starts to taste not-so-fresh. So, if you make a jar and don’t finish it, try to finish it off within the next day or two after making it. If you want to have some pre-made, make enough for 2-3 days and then on that second or third day, make a couple of more jars for the remainder of the week. Another thing you can do is pre-BAG your ingredients in small freezer bags and when you’re ready, just toss the contents into the blender with your base, whiz it up, and you’re good to go! Are you ready to experience what green smoothies can do for you & your health? Then I challenge you to drink at least 1 quart of green smoothie a day for at least 30 days. Don’t worry about which time of day, just commit to having one daily. It can be drank all in one sitting or you can sip on it throughout the day. I recommend having a small cupful prior to each meal and before you eat anything unhealthy. Click here, ‘like’ my FB page, and let me know your results!